Governor Ibikunle Amosun of Ogun State (right), Deputy Governor, Chief (Mrs.) Yetunde Onanuga (2nd left), Speaker, Ogun State House of Assembly, Rt. Hon. 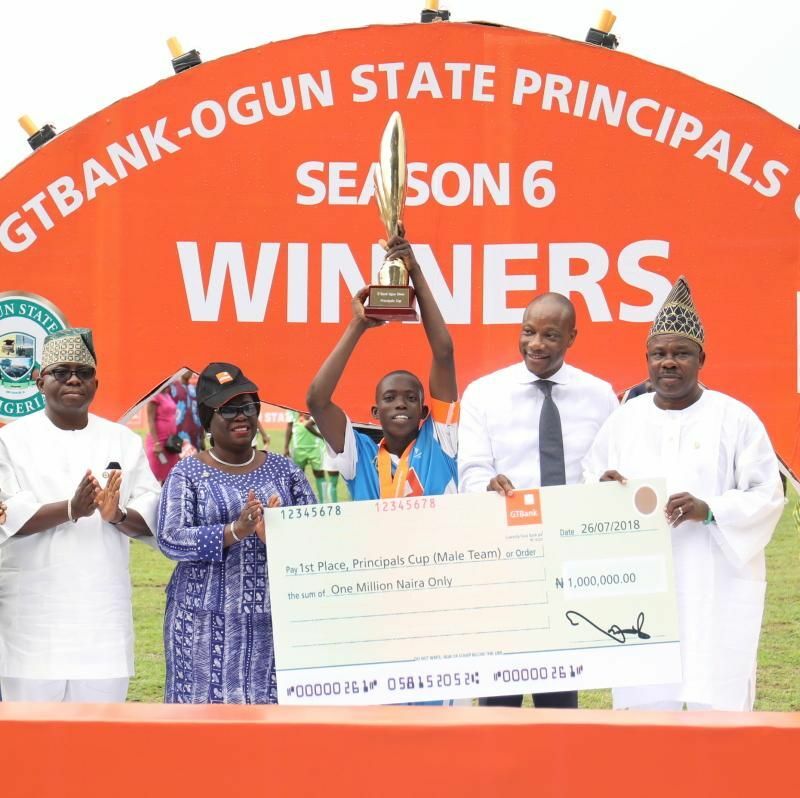 Suraj Adekunbi (left), Managing Director, GTBank, Mr. Segun Agbaje (2nd right) with captain of Alamuwa Grammar School, Ado-Odo/Ota football team, winner of the 6th edition of the GTBank-Ogun State Principals Cup, at the MKO Abiola International Stadium, Abeokuta, on Thursday, July 26, 2018.